The CP addresses issues related to emergencies such as the essential use of time, the CP outlines how you can maximize time in limiting the number of casualties and how can response be immediately deployed in the scene. The enormous needs during emergencies will also be answered by the CP through a clear identification of roles, as well as the complex coordination needed during such human induced disasters. Mayor Yap has always reiterated the value of preparedness and even equipped the CDRRM with the much-needed logistics to capacitate and strengthen its operations, “We have invested a sizable amount to enhance the response mechanism of our CDRRM. To date, we already have 3 ambulances, a rescue truck, a fire truck, a water tanker, search and rescue gadgets, LED boards, and a state-of-the art command center. All these are geared to increase the resiliency of Tagbilaran City and mitigate the ill effects of calamities”, Yap emphasized. General Services Officers from all over Region 7 graced the Fellowship Night given by the City Government of Tagbilaran in JJs Seafood Vilage last night. City Mayor John Geesnell “BABA” Yap keynoted the affair and emphasized the important role of the GSOs in local governance, “With this gathering, I urge you to re-examine your role in ushering development and transformation. Reflect on the deepest needs of our fellowmen and define new avenues to effectively extend the aid of government to our communities. May your hard work instill in you the pride crucial to usher civil service into a new era of development”, Yap said. Mayor Yap and City GSO Dr. Chris John Rener Torralba also handed out tokens to the incoming and outgoing president of PAGSO, Kent Martinez and Jone Siegfred Sepe respectively. It was a day of “firsts” for Tagbilaran City as it joined the whole world in celebrating the World Water Day last Wednesday in the City Hall Atrium. 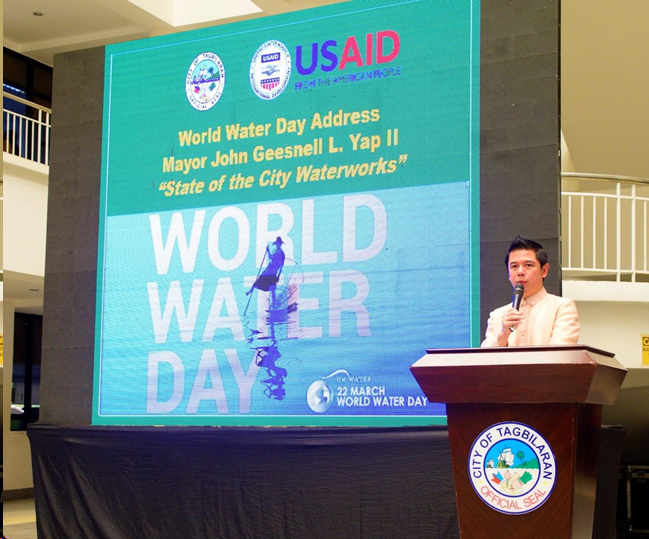 City Mayor John Geesnell “BABA” Yap delivered the first State of the City Waterworks Address which mainly chronicled the journey of the Tagbilaran City Waterworks System (TCWS) from 2013 to the present. According to USAID-SURGE Coordinator, Dr. Linda Paredes, the TCWS has indeed experienced a major turn-around upon the assumption of Mayor Yap. Paredes cited that to date, the City Government thru the leadership of Mayor Yap has invested PhP9.4M for water pipes replacements covering 7,584 meters which is expected to be completed in June this year. Likewise, water meters costing Php2M were also procured to replace the old ones. These initiatives are all geared to reduce leakages which contributed to non-revenue water. Further, the 28 pumping stations are being fenced to ward off the potential danger of contamination. Technically capable plumbers and workers were also hired as well as training of administrative staff to meet the demands of automation. With Engr. Peter Busano on the helm under the Local Enterprise Economic Officer, Bebiano Inting, the TCWS has indeed gone a long way. 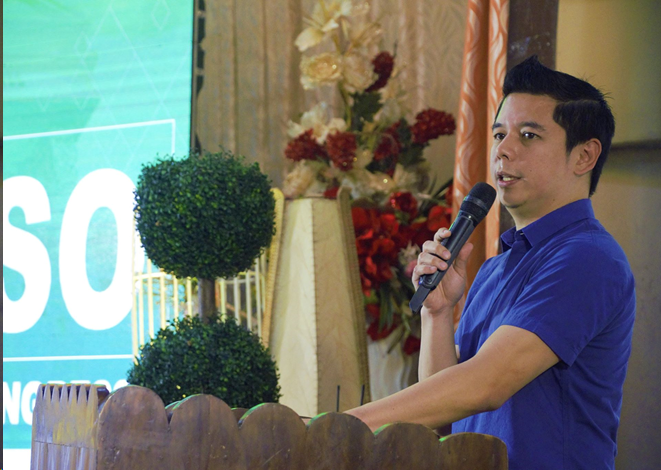 Mayor Yap in his message underscored the value of harnessing empowered public and private partnerships,” The results are clear, our partnership with USAID-SURGE and Maynilad have brought in significant changes. The TCWS increased its revenues in 2017 by 34%, compared with 2016. 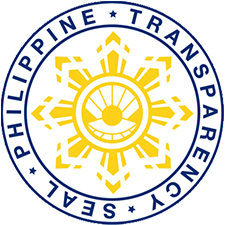 This is despite the fact that the water tariff of P4 per cubic meter, which is currently used now and which was set in 2004, is still way below the computed and desirable maximum tariff of P9.20 per cubic meter. We have enhanced the revenue-generation potentials of the Tagbilaran City Waterworks System, from being a losing venture. Both technical/operational and financial systems are installed in TCWS to reform the city waterworks. To date, complaints of water services aired over the local radio drastically reduced or are almost unheard of. Increase applications for subscriptions is noted. From 5,000 in 2017, water subscribers increased to almost 5,200 in 2018. A computerized billing and collection systems was installed in TCWS in the early 2018 and was made operational in the second quarter last year. Water meter readers were also trained by Maynilad. Our Local Economic Enterprise Office, which supervises our city waterworks, scheduled water meter readers on a rotational basis, for better check and balance. The biggest impact was felt in the increase of water services from 2 – 6 hours/ day to 12-24 hours / day. Water services has indeed improved and we can proudly say WATER SERVICE IS DELIVERED. A major highlight in our journey to improve our waterworks system was when I was invited by the United States Agency for International Development (USAID) to present the progress and accomplishments of our Tagbilaran City Waterworks System in Manila last April 13, 2018. Together with USAID/SURGE Project and Maynilad, we were honored and privilege to share what we have done to bring improved water services to our people” Yap said. 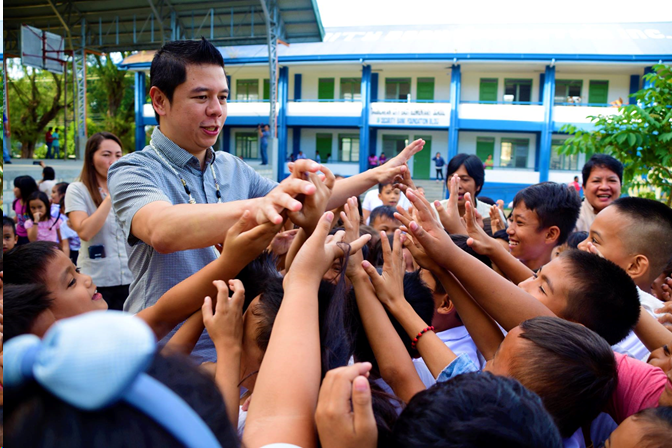 The event also witnessed the first ever Social Marketing Campaign for Sanitation of Tagbilaran City. The campaign will drumbeat the value of Septage Management. Being the first local government unit to adapt such technology, the campaign will not only focus on dishing out information about the program, but will launch a total overview in changing and influencing behavior. The event was graced by the USAID-SURGE Team led by Marian Cruz Navata, Provincial Director Johnjoan Mende of the Department of Interior and Local Government, Vice-Mayor Jose Antonio “Toto” Veloso and the members of the 13th Sangguniang Panlungsod, Department and Office heads led by City Administrator Leonides Borja, Barangay Captains of the 15 barangays, Sangguniang Kabata-an (SK) Chairpersons, Maynilad Water Services, Inc. headed by Mr. Edmund Perez II, BCCI President Engr. 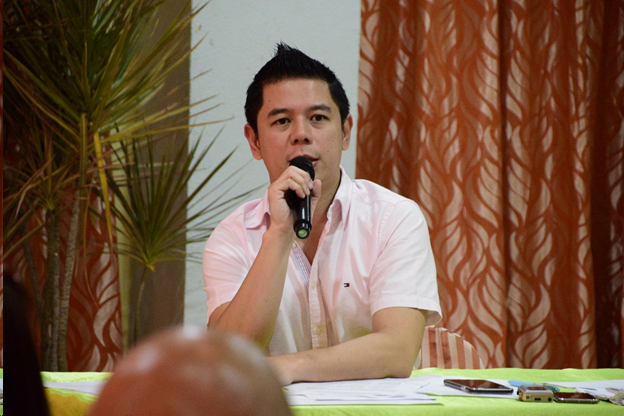 Albert Uy, and selected TCWS water concessionaires. The latest results of the HNU Bohol Poll showed an overwhelming majority of satisfaction in the performance of City Mayor John Geesnell “BABA” Yap. 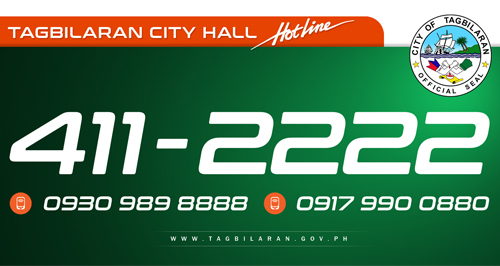 A whopping majority of the Tagbilaranons were satisfied with Mayor Yap’s performance as mayor while relatively none were dissatisfied which resulted to an impressive net satisfaction rating of +100, eight points higher than last year at +92. Further, voter’s preference also showed that Mayor Yap will have a comfortable lead at 90% against opposing mayoralty candidate Dr. Sharleen Lim who only got 6%. The City Mayor’s Office was also included by the respondents in the Top 3 Best Government offices in the Province of Bohol, along with the Governor’s Office and DSWD Tagbilaran. The entire City Government also got a “very good “performance rating” in Promoting Investments with +81; Providing Livelihood Opportunities and Employment with +63; Ensuring adequacy of drinking water with +88, and Protecting life and property with +70. The Traffic Management which got +2 in 2018 got an increase this year with +28. Voters’ Preference for the various positions in the province also showed that Cong. Arthur Yap would win against former Cabinet Secretary Leoncio Evasco in the gubernatorial seat, with Yap getting 53% as against Evasco with only 35%. For the 1st district representative, Gov. Edgar Chatto has a comfortable lead of 86% against former mayor Dan Neri Lim who only got 14%. 3RD district representative hopefuls Board Member Alexie Tutor, Dioning Balite, and Che Toribio delos Reyes were statistically tied at 33%, 30%, and 21% respectively. For the City Mayor, Hon. John Geesnell L. Yap II got an overwhelming support of 90% as against Dr. Sharleen Lim at 6%. Vice-Mayor Jose Antonio Veloso also got a comfortable lead of 78% against Brgy. Capt. Arlene Karaan who only got 13%. 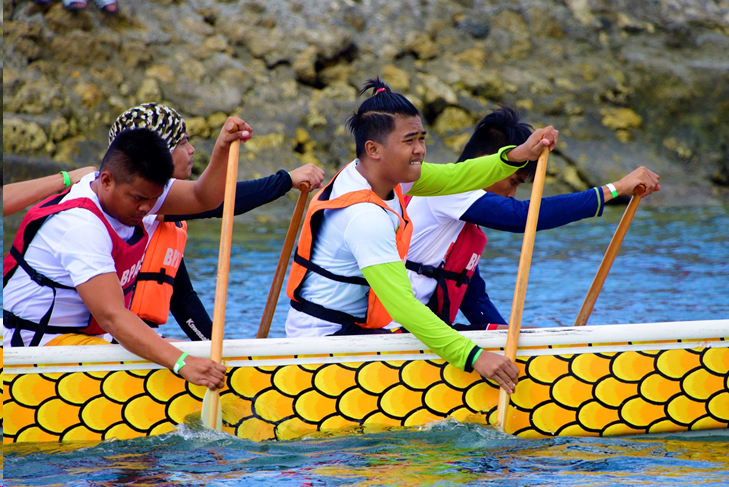 The HNU Bohol Poll survey period were from February 12 to March 6 with a total sample of 400 respondents with a margin of error for Bohol at +/-5%. 90% of the respondents came from the rural areas, 12% coming from A, B, and C bracket, 74% from D, and 14% from E. 50% were males and 50% were females. The respondents were from ages 50 to 45 (69%), 33 to 44 (23%), and 18 to 24 (8%).